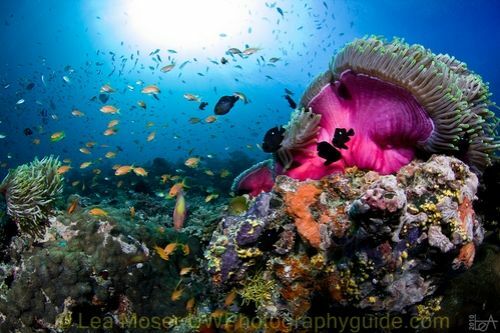 After Lea Moser visited the Maldives and came back with some great photos of schooling fish, I asked her some questions about her trip. Here's what she had to say. Exactly which areas did you visit? My two weeks Maldive liveaboard trip started from North-Male Atoll to North-Ari, South-Ari, Felidhoo, and ended at South-Male. I was there at the end of December and the start of January. The visibility was not great. Just two or three places had clear visibility. 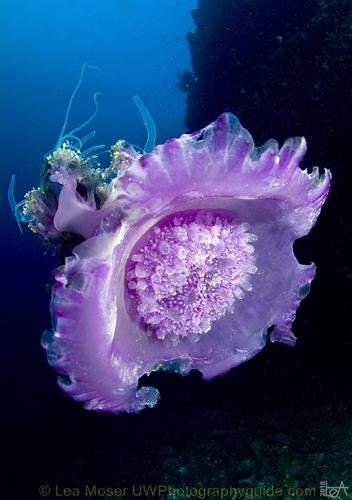 How was the macro, soft coral, pelagic, and fish photography at each place? 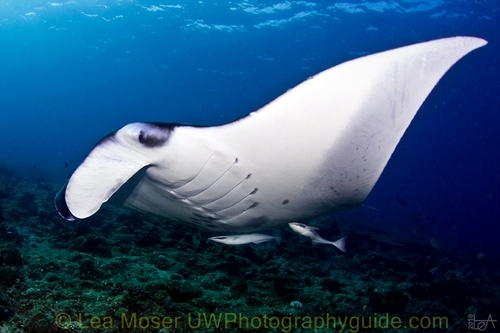 Most of time I used a wide-angle lens, because I wanted to take shots of Manta rays, Whale sharks and other big fish. 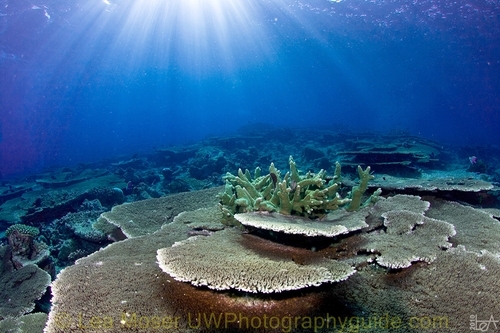 It was great for wide angle photography, because the corals are really colorful and intact. 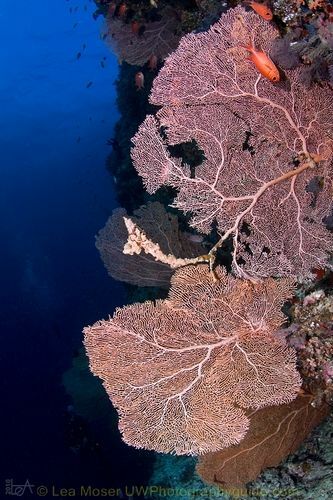 For example, the soft corals at "Fotteyo" at Felidhoo Atoll were just fabulous. Normally you can see many manta rays getting cleaned at Boduhiti Thila, North Male and huge manta rays dancing at Rangali Manta Point, South Ari. There were thousands of bluestriped snappers at Madivaru. Thousands of Redtooth triggerfishes were everywhere, bignose unicornfishes were always curious about divers' bubbles. We saw sweetlips, many soldierfishes, school of bannerfishes, and also whalesharks at Maamigili Beru. 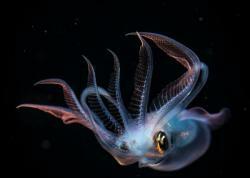 What about underwater macro photography? Vilivaru Giri at South Male is nice for macros. You can find many blennies, frogfish, nudibranchs, and many coral crabs. 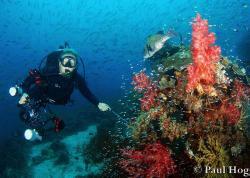 Were the dive sites crowded? Most of diving sites we dove weren't crowded. We were all alone. However, the famous diving places such as "Fotteyo" or "Naaga Thila" were crowded. How do they compare to other places you've been too? The diving at Maldives was full of surprises for me. 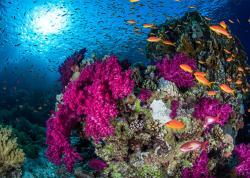 Beautiful and intact corals and thousands of fishes. It has very strong current at every dive, so better prepare to be fit and don't forget a reef hook. Which boat were you on? I was on the M/V Marina, it was a New Year's cruise. Editors note: I've also heard great things about the Manthiri liveaboard from our Diving Editor Randy Harwood. 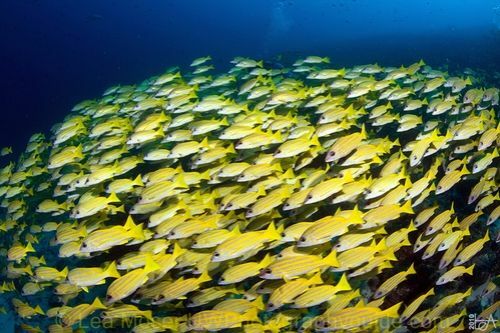 Big school of bluestriped snappers at Madivaru. It was an unforgettable moment to be surrounded by thousands of them. The beautiful enounter in the Maldives with a Manta ray You could just watch them dancing around until your tank was empty. This big Jellyfish was swimming around early in the morning at Brocken Thila (South-Ari). Unfortunately it was little damaged but still beautiful. I was very near from it till it touched the domeport, and it looks much bigger than it is. That's what I love about the fisheye lens. Beautiful pink anemone coral at Dega Thila, Eboodhoo. There was a strong current, so it wasn't easy to get a right composition and lighting. One of the most beautiful and popular dive site at Maldives, Fotteyo at Felidhoo Atoll. 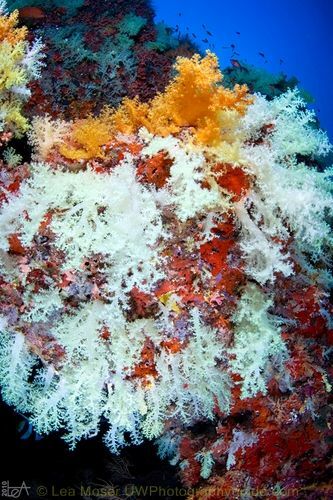 There are so many colorful soft corals blossoming thanks to the strong current.